Thanks for stopping by. This week we are to use Tinker Bell and Friends (p. 51) with a twist (Use "Bling"). 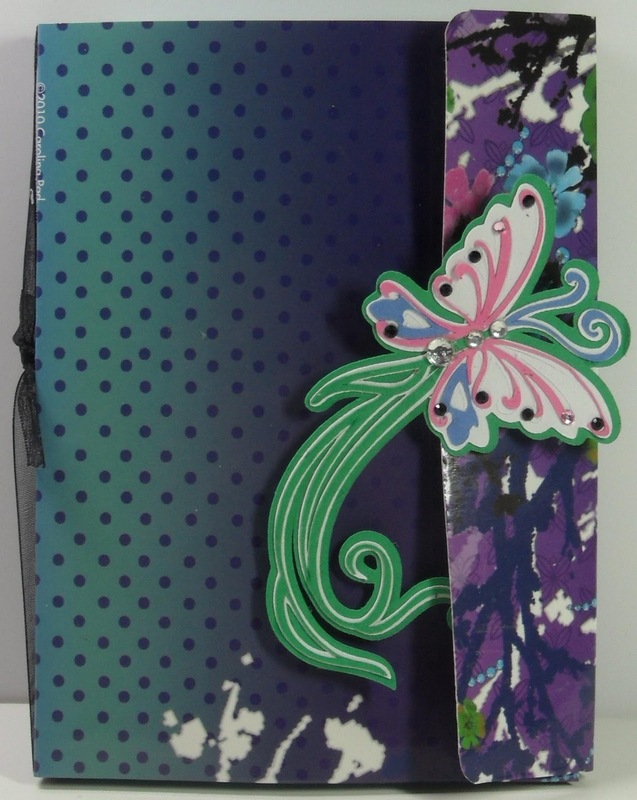 I truly loved this challenge because I got to make a memo pad cover (In blue). I really like this. I will probably start making these for gift ideas. Comments are welcome. Enjoy and GOD Bless! This is beautiful. I adore the color choices. really cute project.love the shades of the purple.the butterfly pops out really cute. I love this idea but I don't have Tinker Bell so I would have to use something else. But I do love the colors that you did use and it really turned out great. I'm going to turn this one but can't use Tinker Bell. First can someone tell me what Bling IS. How do I make it look like a book so it will hold a note pad in it. This is really a great project, so cute! Very cute! I actually don't have Tinkerbell and Friends! I think that I need it! thanks for the enabling. That is SO PRETTY! That butterfly is magnificent! I aslo love that its a notebook holder. Very cool! Great job and color choice. I love this booklet...so will the people you make it for... Great job. 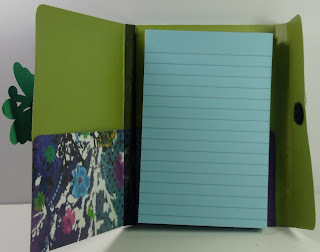 How beautiful, I didn't even think it would open up into a notebook, great idea!!! I love that, this would be an awesome gift. All your colors are wonderful! Neat idea...love it...you come up with some of the coolest stuff! OMG...practical and beautiful! Very nice! wow girl great job on your entry. You did good.